U.S. News puts Berkeley at the top of the field among global universities. The field of environment and ecology includes subjects such as environmental health, environmental monitoring and management, and climate change. The study of the environment and ecology deals with the relationships between living things and the physical world. 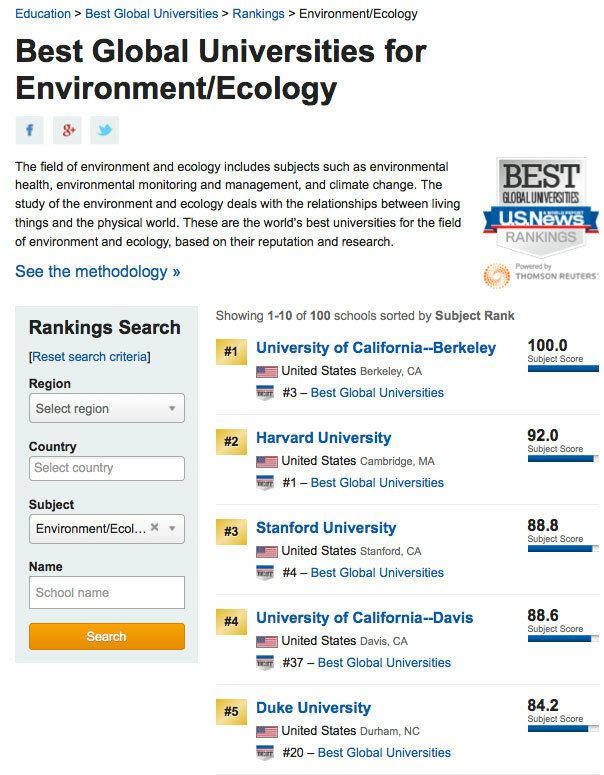 These are the world’s best universities for the field of environment and ecology, based on their reputation and research.